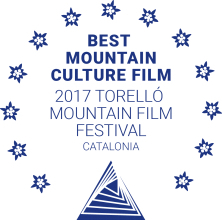 We are happy to announce that ‘Samuel in the Clouds’ has been awarded the Silver Edelweiss for Best Mountain Culture Film at the Torelló Mountain Film Festival in Catalonia. Moreover, we also received an Honourable Mention at the Mountainfilm International Filmfestival in Graz. Thanks to both wonderful organisations!